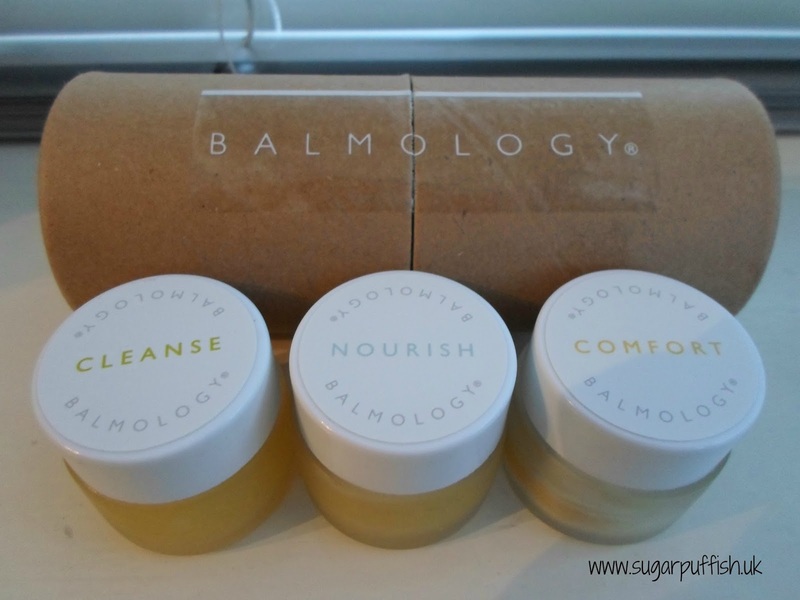 Exactly three years ago I published a review of Balmology Comfort Balm. I have been in love with this balm ever since and it is always top of my recommendation list. I was thrilled that Balmology agreed to provide a sample for the Green Beauty meet up we had in October. We received The Discovery Set, a fabulous way to trial the range and it is NOW available for purchase on their website (balmology.co.uk). The set includes Neroli & Sweet Basil Cleansing Balm, Neroli & Frankincense Beauty balm and Calendula & Chamomile Comfort balm (3 x 12g). I think everyone needs to add the set to their Christmas Wishlist or perhaps buy for a loved one. Beautiful set and considering the quality of ingredients and how long 12g will last, I think they should be more than £15! That's a steal!! The 50g of Nourish and all the mens post-shave balm lasts 6 months or more so this is fantastic value.